Proficook PC-SV 1126 is an immersion thermocirculator device designed to facilitate the practice of cooking at low temperatures in our homes. FIND OUT ABOUT... PROFICOOK PC-VS 1126 ! FIND OUT ABOUT... PROFICOOK PC-SV 1126 ! The Proficook SV 1126 is perfect for cooking food at low temperature with the vacuum cooking technique. This technique consists of cooking food (usually meat, poultry, but also fish and shellfish) in water at very low temperatures (never above 100ºC) for long periods of time. In this way, we will preserve its flavors and juices. For this technique, we will need to introduce the food in airtight plastic bags so that no water or other liquids enter. The body of the thermocirculator is made of stainless steel and has a non-slip plastic coating with a pleasant texture on the upper part. 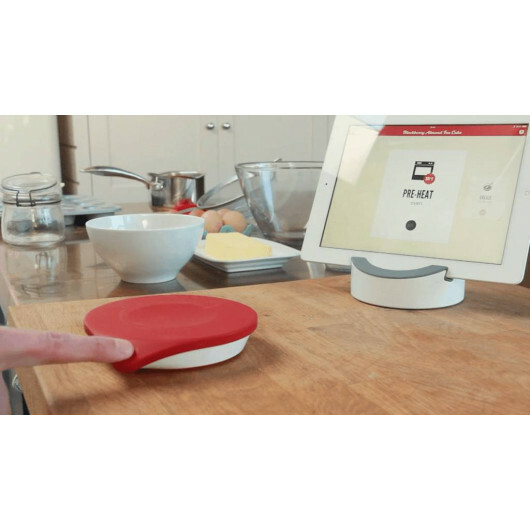 Its LCD panel allows to visualize the current temperature of the water in which the roner is submerged, as well as the desired cooking temperature that we have programmed, and also the remaining time of the timer that allows us to set the cooking time. This LCD panel allows to visualize this information with enough clarity and its legibility is good. This panel is tactile, allowing us to operate the controls of the device. This thermocirculator device incorporates a clamp on one side to fix the device to the container with the water bath that we will use as a cooking medium. The clamping force of this clamp is enough to prevent the roner from overturning during use. How do you change from Celsius to Fahrenheit? ProfiCook PC-SV 1126 only offers the possibility of measuring the temperature in Celcius degrees. 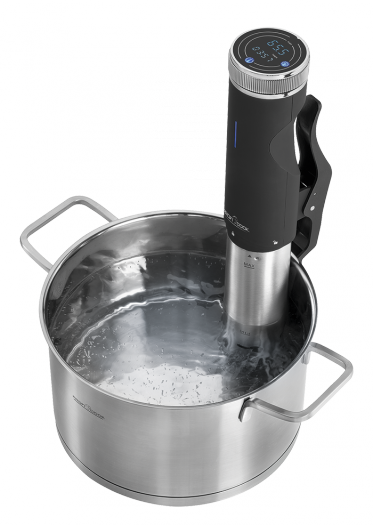 Does this sous vide precision cooker has Bluetooth or Wi-Fi? 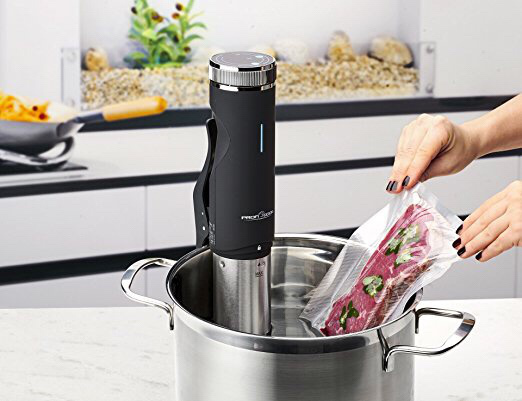 Dear customer, the Wancle sous vide doesn’t need a Bluetooth or Wi-Fi connectivity. Since we have precise, accurate time and temperature control, it completely safe to allow the cooking machine work without anyone beside. 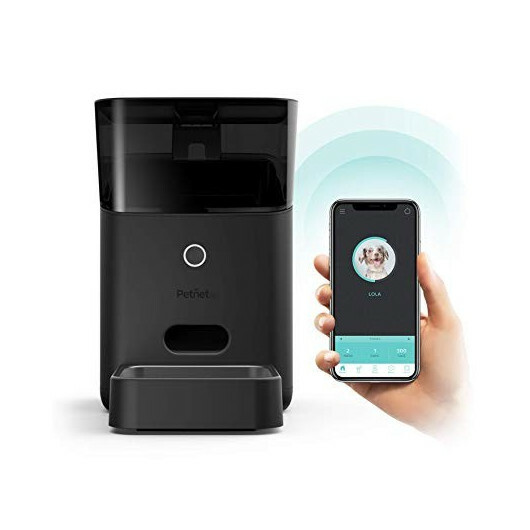 We have noticed that other customers have reflected that those with Wi-Fi and Bluetooth feature are thought as over-complicated and increase your cost. 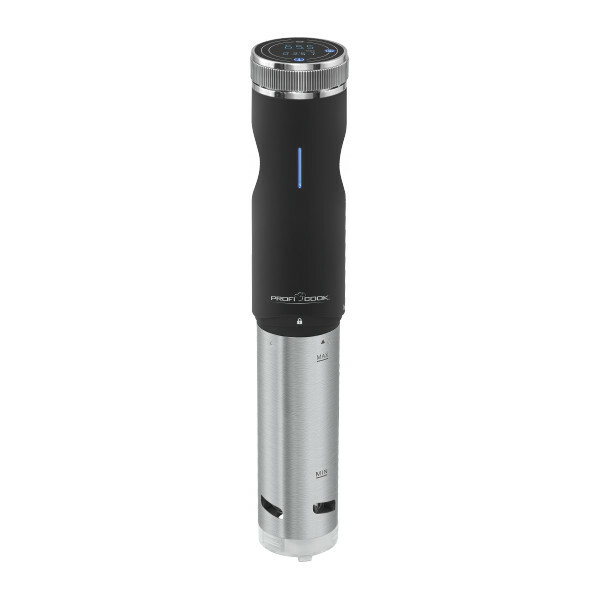 Wancle sous vide is equipped with sensitive timer and temperature probe. The roner switches off automatically if the bath water falls below the minimum safety threshold. So practice! 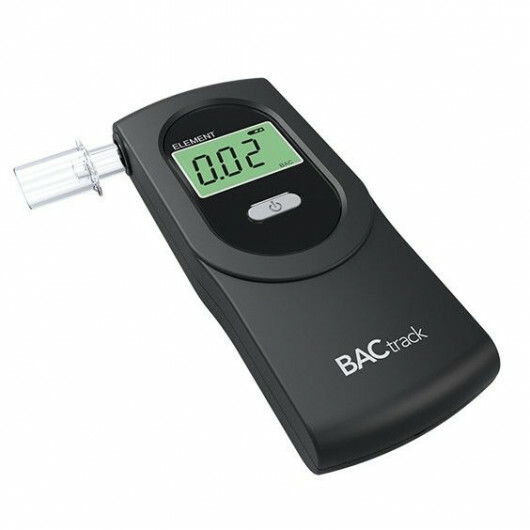 Easy to use and usefull device! I highly recommend it !